The author of “Silver Screen Reflections” will be taking a short hiatus due to a mix of final projects for the final set of classes at Hood College. There will be more in store throughout the month of December- stay tuned! “RiffTrax Holiday Special Double Feature” in theaters on Dec. 1 (One Day Only)! Fans of “RiffTrax” and “Mystery Science Theater 3000” (fellow MSTies) will be looking forward to an upcoming cinematic event to kick off the holiday season. RiffTrax, in conjunction with Fathom Events will be presenting a special encore double feature from two previous RiffTrax holiday events (featuring MST3K alums Michael J. Nelson, Kevin Murphy and Bill Corbett) in select cinema venues from coast-to-coast for one day only on Thurs., Dec. 1 at 7 p.m. (local time). The RiffTrax crew and their special double feature presentation will consist of the their 2013 presentation of the 1964 low-budget kiddie flick, “Santa Claus Conquers The Martians” (starring Pia Zadora, Bill McCutcheon, Ned Wertimer and John Call)*. The second feature will be the 2009 presentation, “RiffTrax Live: Christmas Shorts-stravaganza,” featuring a smorgasbord of cheesy educational and industrial holiday short subjects riffed by Mike, Kevin and Bill with special guest “Weird Al” Yankovic! According to the official RiffTrax press release, one of the group’s most popular shorts will be showcased by popular demand, “Parade of Aquatic Champions.” Originally released by Post Pictures Corporation, the Kodachrome film featured cameo appearances by Olympic swimming champions Johnny Weissmuller (who was known for playing “Tarzan” in film adaptations based off of Edgar Rice Burroughs’ novelizations from 1932-48) and Buster Crabbe (who was known for playing Flash Gordon and Buck Rogers in Universal’s filmed serial adaptations of the two popular comic strip series in the 1930s). As a special bonus, the RiffTrax crew will be riffing on holiday photographs sent in by RiffTrax fans throughout the country. The upcoming presentation of RiffTrax’s “Holiday Special Double Feature” is perfect for fellow fans of RiffTrax and MST3K (fellow MSTies/friends of the matinee) that can’t get enough of riffing Z-budget films after the MST3K “Turkey Day ‘16” marathon. This is also perfect those who want to kick off the holiday season with the fine art of comedic movie riffing. *Fun Facts: “Santa Claus Conquers The Martians” was originally released to theaters by Embassy Pictures, founded by Joseph E. Levine. Levine’s distribution firm was better known for releasing art house and prolific independent features, including Mike Nichols’ “The Graduate” (1967, one year before Levine sold Embassy to aviation and broadcasting conglomerate Avco Corporation). Sidebar: “Santa Claus Conquers the Martians” was shown on “Mystery Science Theater 3000” (ep. #321, hosted by Joel Hodgson), which was broadcast on Comedy Central on Dec. 21, 1991. A Happy (and peaceful) Thanksgiving holiday to all fellow friends of the matinee (from the author and writer of “Silver Screen Reflections”). Questions/Comments about the upcoming “RiffTrax Holiday Special Double Feature?” Drop a line at the comments section! Fellow fans of MST3K (or “MSTies”) and RiffTrax will be excited about an upcoming “cheesy movie” tradition on Thanksgiving day. Shout! 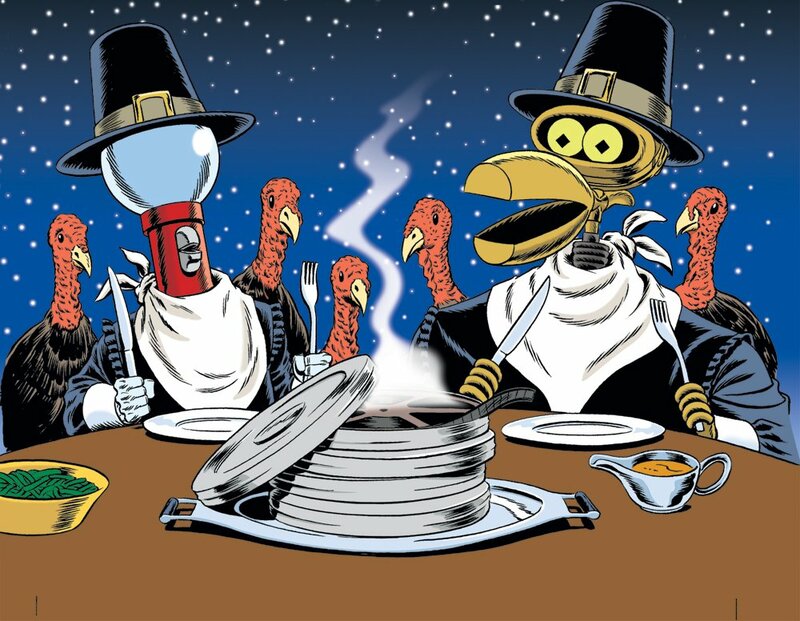 Factory TV will be offering a smorgasbord of classic MST3K episodes on Thanksgiving day at Noon ET/11 a.m. CT/9 a.m. PT. This will mark the fourth year that Shout! Factory will be presenting the “Turkey Day” marathon of “Mystery Science Theater 3000” episodes, to capture the spirit of the 1991-95 Comedy Central “Turkey Day” marathons. 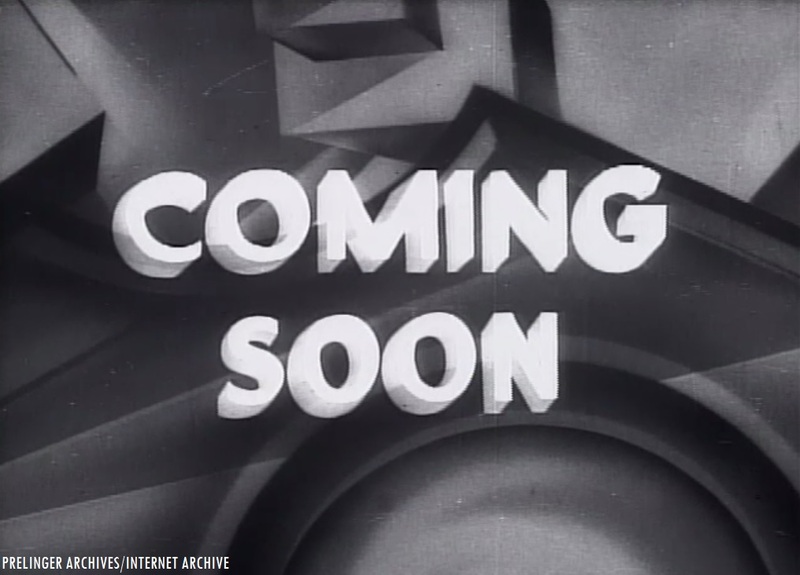 Six popular episodes of the series will be shown, as chosen by fans of MST3K through an online poll that was conducted on the official website for the show. All episodes will have special “Turkey Day” wraparounds by series creator and first host of the cult series, Joel Hodgson. Hodgson will also be joined by Jonah Ray, who will be the new host of the MST3K revival (under the character of Jonah Heston). The revival of MST3K is already in production and will be available on Netflix. You will not want to miss out on this fine feast of cheesy low-budget movies, with the fine art of riffing (through the courtesy of Joel, Mike and the bots). A double-dose of vintage MST3K episodes can also be found on Comet TV, Sunday evenings at 8 p.m. ET/7 p.m. Central (In the Frederick/Washington area, Comet TV can be found on Comcast channel 204 and over-the-air on WJLA-TV 7.3). If your local television station does not carry Comet TV, the digital subchannel is also available for streaming online. Questions/Comments about MST3K? Drop a line at the comments section! 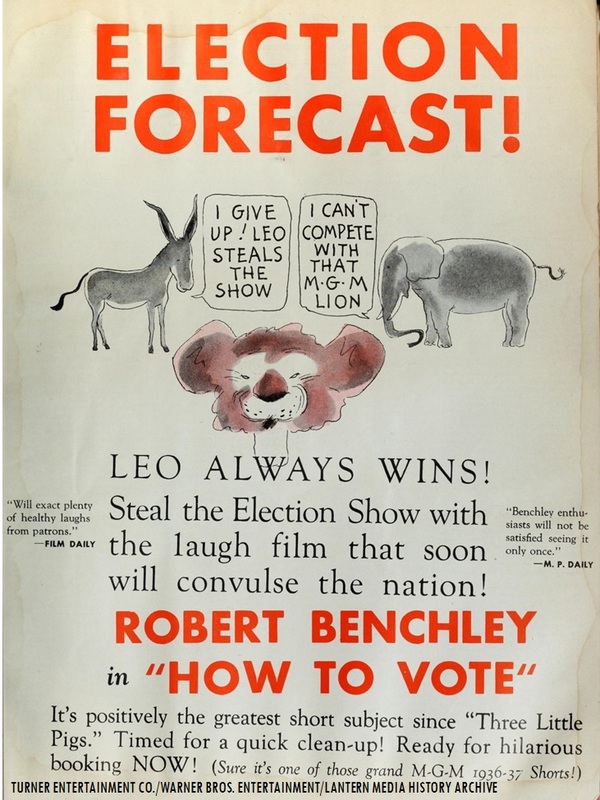 Tue., Nov. 8: The staff and management of “Silver Screen Reflections” reminds everyone to vote wisely on this Election Day. Combat fear and hatred by showing up at the ballot box. The future is in your hands, so vote today!